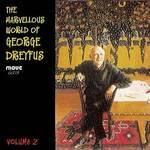 Performance by Christopher Cook from the CD marvellous world of George Dreyfus. Volume 2. Stant litore puppes : for organ / George Dreyfus.